Waiting for lambs is like waiting for paint to dry. You know it’s going to happen but you just don’t know when. It depends on the thickness of the paint, how it was applied, the relative humidity in the air and room temperature, among other things. Waiting on Lambs is much the same. We know what day we mixed the ewes with the ram, and when we separated them again. But that only gets us in the ball park. Then we have to factor in when they actually were “in season” and receptive to breeding. Plus it depends on the potency of the ram, and if he is sharing his attentions with everyone or just sticking to one or two of his favorite ewes until another one grabs is attention. And just like people, some pregnancies just take longer to come to a conclusion. So you might wonder what we do to pass the time while we wait? We order new chicks. We usually keep about 50-60 chickens over the winter and add 20-30 chicks to our flock each year as we rotate some of the older girls and extra boys into the freezer. 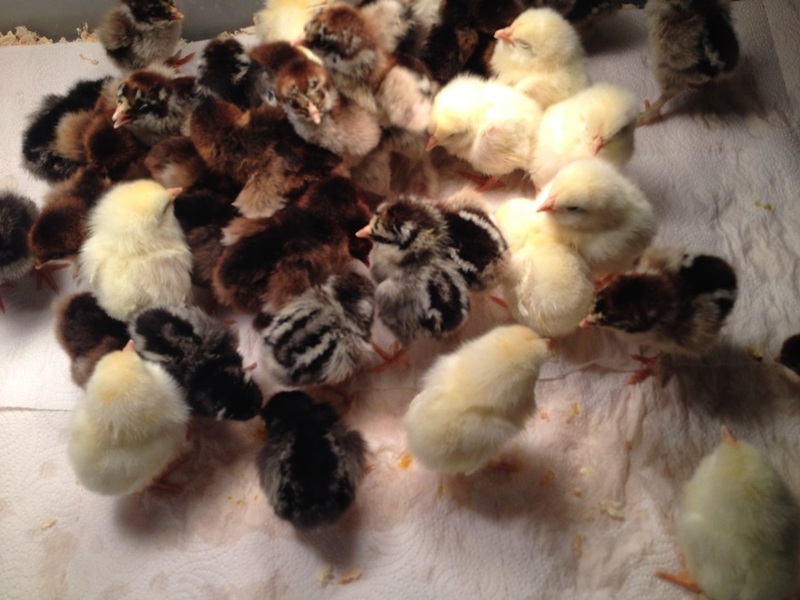 We also sell chicks to other local chicken keepers so from February to May is a steady stream of new hatchlings. 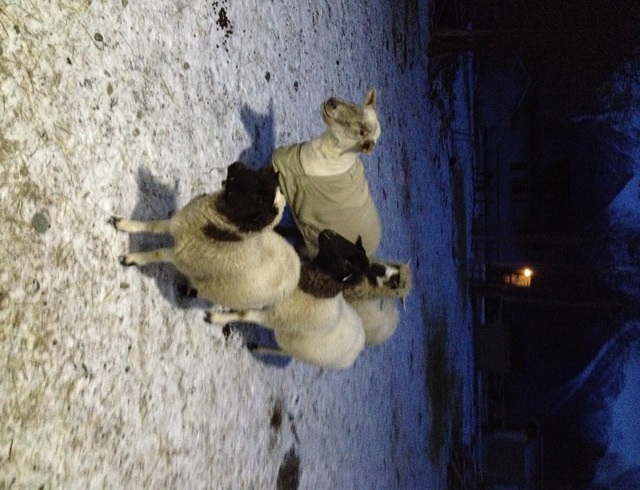 Feeding sheep at 5 am and 6 pm in Alaska during winter, means feeding in the dark. As spring approaches the days are getting longer so pretty soon it will be light when we feed them, we can’t wait! The ewes that were too young to breed are hanging outside with Nelson and Sally. Sally didn’t need shearing so she’s outside too but will be moving into the maternity ward in the next couple weeks. as she gets closer to delivering. It’s a little crowded inside right now with so many expectant ewes. We are hoping to rotate one or two ewes outside with their new lambs before she’s ready to get locked in. 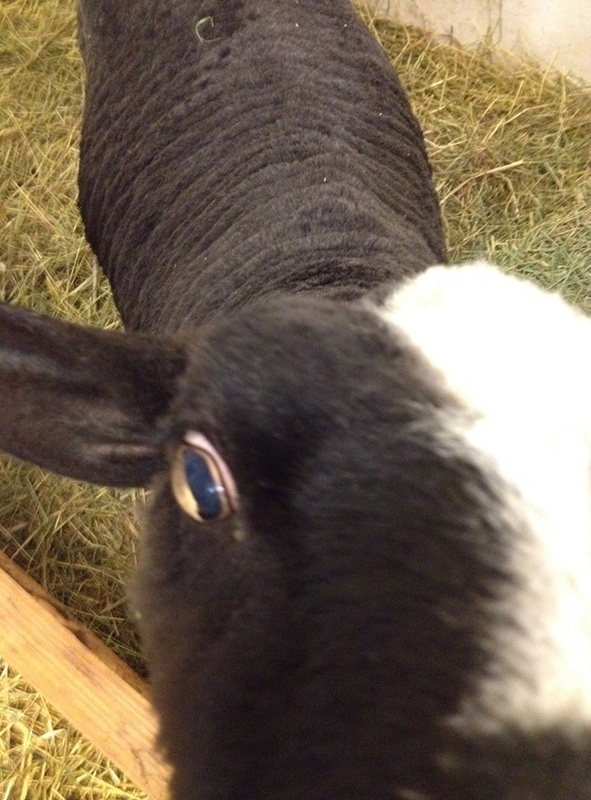 We take pictures of our sheep. Lots of pictures of our sheep. I never get tired of trying to catch their crazy antics in pictures. Of course they have not learned to “hold that pose” while I whip out my phone but occasionally I’m fast enough to catch them in the act. Cocoa takes “close-ups” to a whole new level. If I could convince her to stand back a foot or two maybe I could get a little better picture. We have two little Dorpers but only one ever gets her picture taken. The other is always standing on my feet, too close for any kind of decent photo. Daily conversations with our chickens. They are quite the little comedians themselves. They provide breakfast food and a multitude of strange and wonderful sounds that are the constant background to any video we record in the barn. 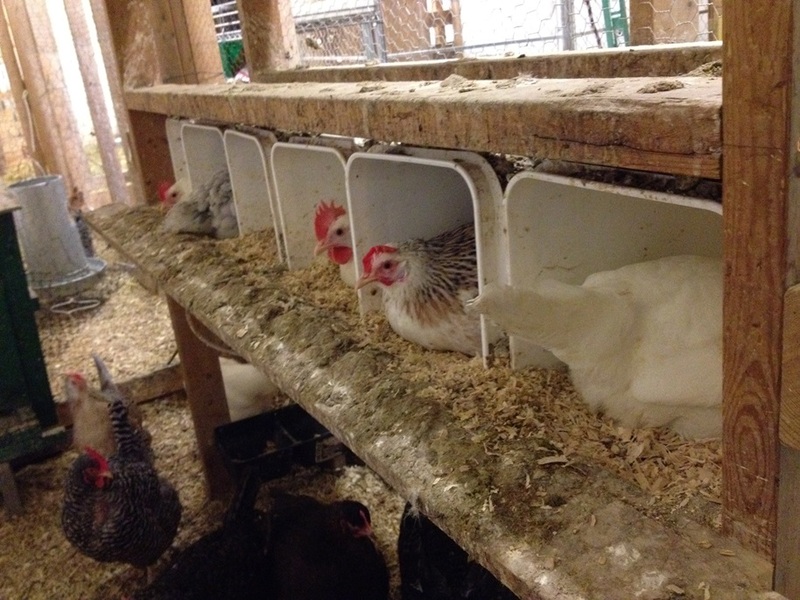 We have multiple chicken pens in the barn, each with it’s own pop-door that opens for outside access, and our chickens definately qualify as spoiled rotten, in the best sense of the word. Fleece takes over. 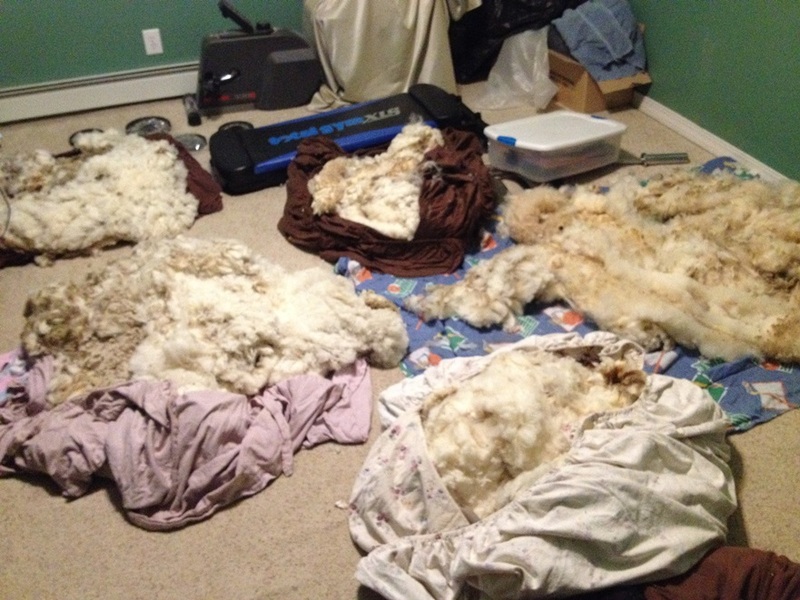 We take over the spare room to spread out the fleece and let it air dry. A bit of organized chaos until the sorting and skirting has been completed and orders can be shipped off to their new homes. Fleece fresh off the animal has some moisture in it. If we were to seal it in packages right away it would likely develop mildew. Leaving it open to the air for a few days allows it to dry completely before sorting and shipping. 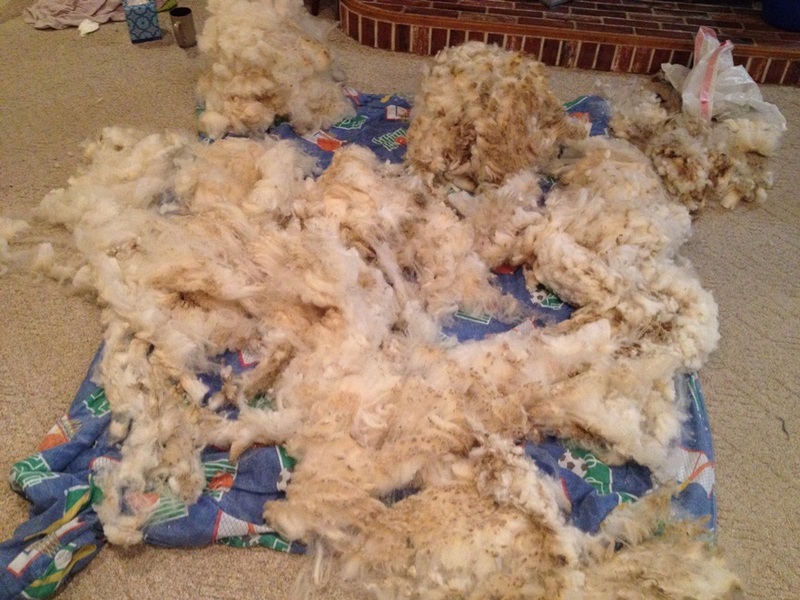 The Cormo and Polypay fleece is greasy with lanolin which helps it stick together in one big piece, meaning I can lay it out on the floor just like it came off the animal. Neck, tail, and legs are all easily identifiable. We make lamb coats. Lambs can survive freezing temperatures as long as they are dry. If it is windy or drizzling they need a little extra help. 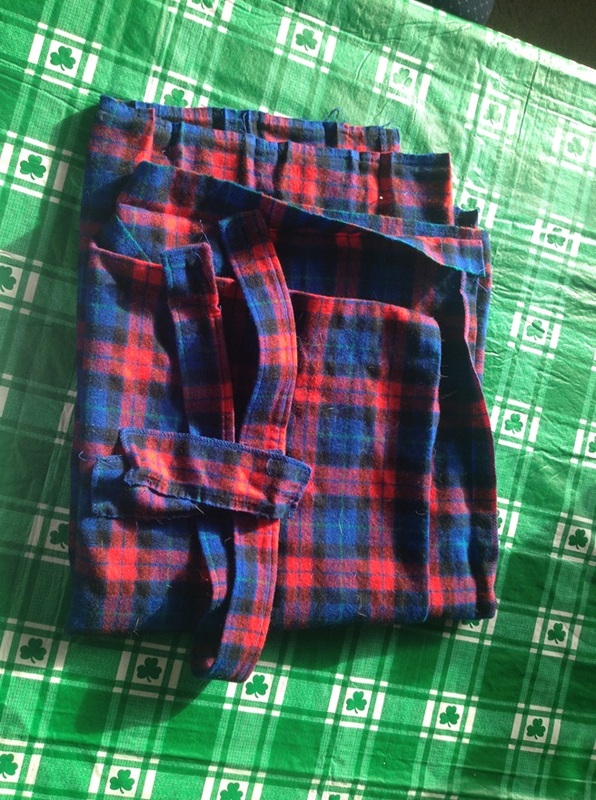 I bought this “Vintage” wool skirt on eBay and I will use it to make at least 4 nice lamb coats. We have had nice warm weather but this weekend is supposed to get cold and wet with snow and freezing rain forecast later in the week. It will be nice to have new coats just in case we need them. Now it’s time to run back out to the barn for another check of the girls.